Audience members are politely reminded that mobile phones, watches and other technical devices emitting acoustic signals must be switched off during performances. Audio and video recording and photography are prohibited at all Ljubljana Festival events. Once purchased, tickets will not be refunded. Tickets will not be refunded if an event is interrupted by a power failure or (in the case of outdoor events) adverse weather, or disrupted by noise or any other external factor. 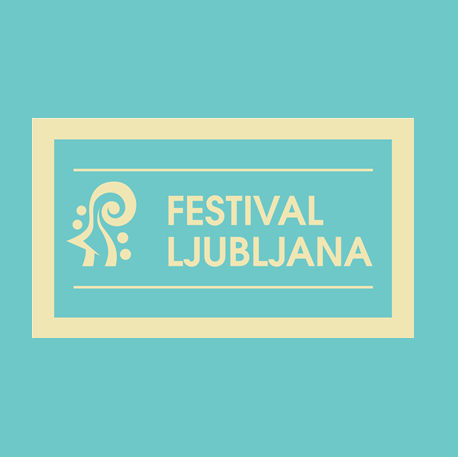 If an event is cancelled you may exchange your tickets for tickets to any other Ljubljana Festival event or request a refund, which must be collected within one month. The Ljubljana Festival reserves the right to change the programme, performers, venues and scheduled start times. Ljubljana Festival tickets are exempt from VAT (Point 13 of Article 42 of the Value Added Tax Act in conjunction with Article 69 of the Rules on implementation of the Value Added Tax Act). The roof of the Križanke Summer Theatre was damaged by late snowfall in 2016. As a result, seating in the venue is currently exposed to the elements. Seats in rows 9A, 14 and 15, seats in the balconies and seats located by statues and towers have a restricted view of the stage. In the style of the motifs of the medieval legend about Dr Faust, and Goethe’s two-part tragedy, as well as studies and artistic works inspired by the history of a man who sold his soul to the devil. Director Tomaž Pandur’s theatre project Faust is based on Goethe’s masterpiece. On this basis it uncovers fragments of this extraordinary work, where the history of the legend’s development and its expansion into broader moral and philosophical contexts simultaneously portray the intellectual history of humanity. Faust: Who are you, then? Mephisto: I am part of that power which eternally wills evil and eternally works good. When Pandur alchemically transforms Faust’s legend into the intellectual and emotional atmosphere of our times, constructing his own Poetry and Truth, as everything that comes to the stage is transformed, creating its own stage language. In the middle of the eternal struggle against omnipresent evil he establishes a yearning for everything that is inaccessible or unattainable: family, love, youth and beauty. The entrance into the realm of magic, the region of the cosmic sphere, makes experience and fulfilment momentarily possible for Faust, as well as love, authority, and power, but the contract he signed with Mephisto or with himself returns him at the end to loneliness, age, and the transience of life. In his own “theatrical world” is he alone against the world, or is the world against him? Is he God or a slave? And is it even possible to reach an understanding of what is “when”, “how”, and “where”? The discourse on alienation and fulfilment, the hallucinating and the hallucinogen, evokes the whole human tragedy by attempting to discover the truth that is common to all people and, at the same time, was the culmination of his life. How does he find and feel it? Where is it hidden? In his despondent and self-destructive state, in the blink of an eye we enter Faust’s inner reality, into fragments of his real and imaginary world, into his quest for that never-ending moment of happiness and fulfilment. We are seeking the same thing he is. And this search never ends. THE LJUBLJANA FESTIVAL WAS FOUNDED BY THE CITY OF LJUBLJANA. THE HONORARY PATRON OF THE LJUBLJANA FESTIVAL 2019 IS THE MAYOR OF LJUBLJANA ZORAN JANKOVIĆ.